Reflective Collar Options For Night Time Use. Traffic Cones Must Have 6” + 4” Reflective Collars For Approved Use On Public Roads At Night. Vehicle and pedestrian traffic safety during rush hours and at night can be difficult. In such circumstances not only are the chances of accidents higher, but drivers and pedestrians tend to ignore traffic controlling tools and equipment. 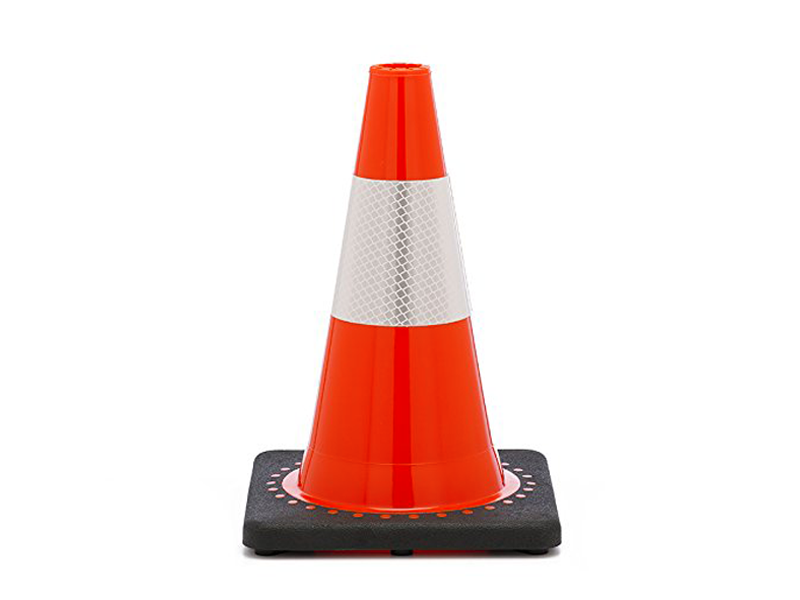 This problem is exacerbated if the traffic cones are broken, faded or have tipped over due to other factors such as vehicle impacts, storms or strong winds. 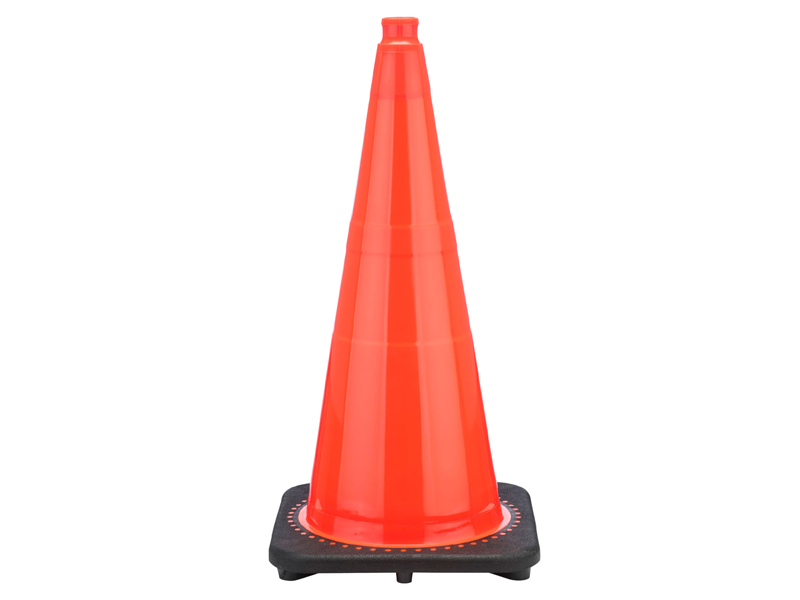 To ensure the safety of foot and vehicle traffic, you need to use Injection molded traffic cones with a black base. 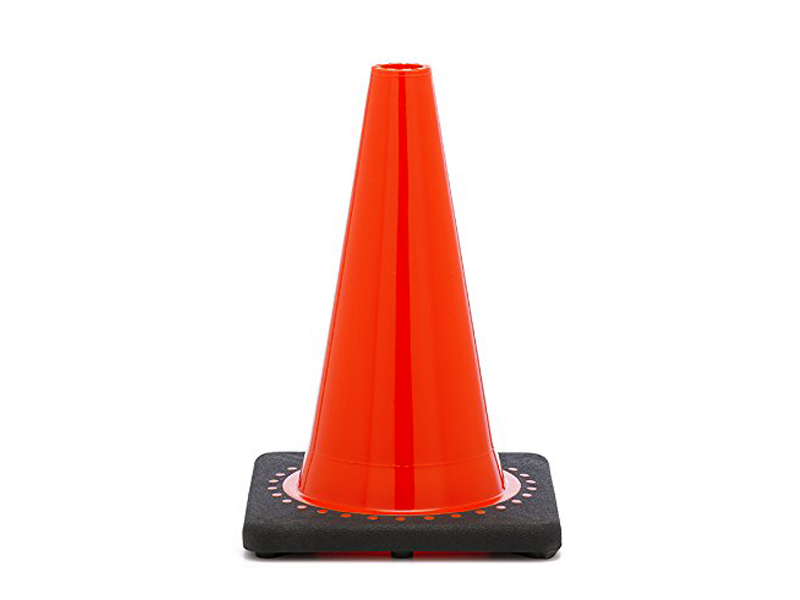 The revolution series is line of innovative high quality cost effective Traffic cones featuring our patented circle interlocking system and leveling differential mechanism, delivering outstanding performance under the harshest conditions. There’s much more to the design than meets the eye The patented leveling Differential mechanism involves strategically placed cavities inside the base to provide a stronger foundation, allowing the revolution series cones to absorb repeated impacts resulting in a virtually indestructible base. 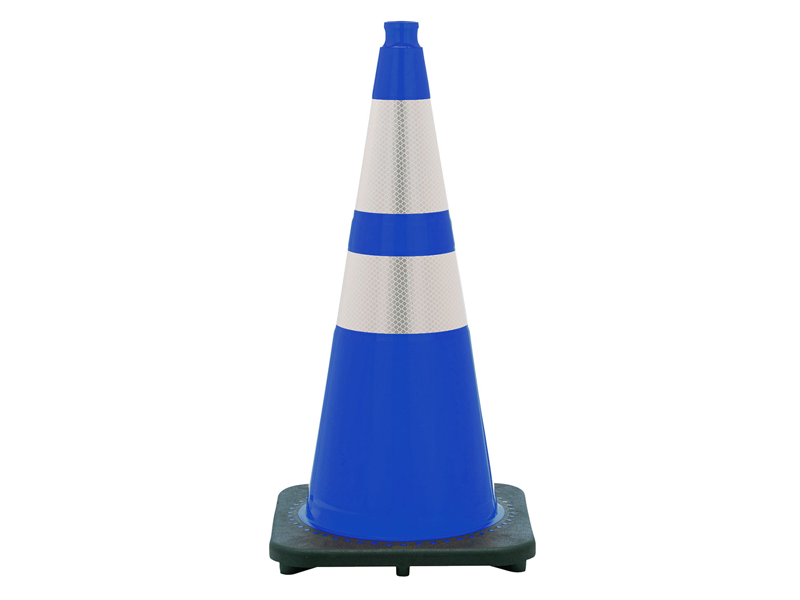 The revolution series traffic cones are quality made using premium grade pvc injection molding technology, resulting in the most durable traffic cones available in the North American market. The Patented process gives you the best of both worlds – high quality at a low price. Orange traffic cones are 100% fluorescent on both the inner and outer layers, the industry’s first and only. The 3M 3840 Hi-intensity reflective cone collars complement the high quality of the revolution series traffic cones. 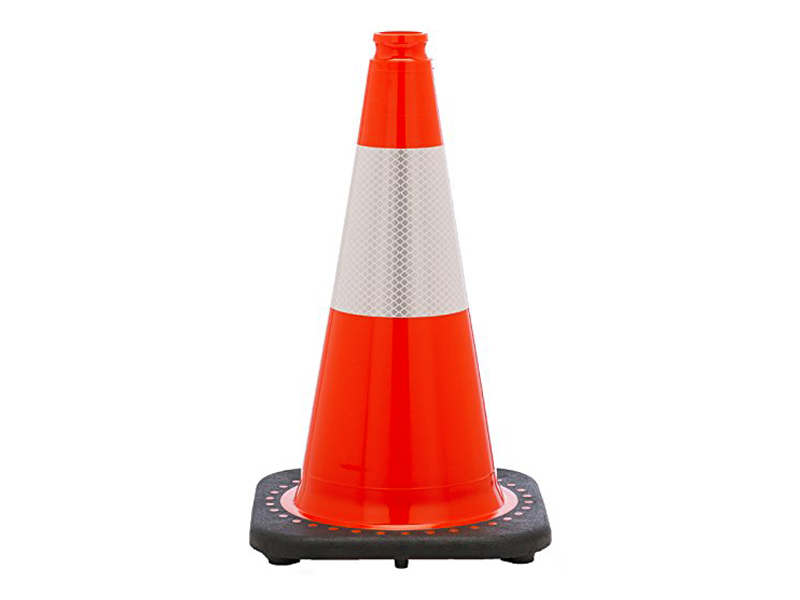 Having such a high quality reflective cone collar demonstrates the level of quality these traffic cones provide during day or night. 3M high intensity is a plasticizer resistant encapsulated lens reflective sheeting with pressure sensitive adhesive. The 3M 3840 cone sheeting is specifically designed to reflectorize the cones thus meeting the MUTCD requirements for highway and utility use. It goes without saying that accidents can happen at any time, day or night. 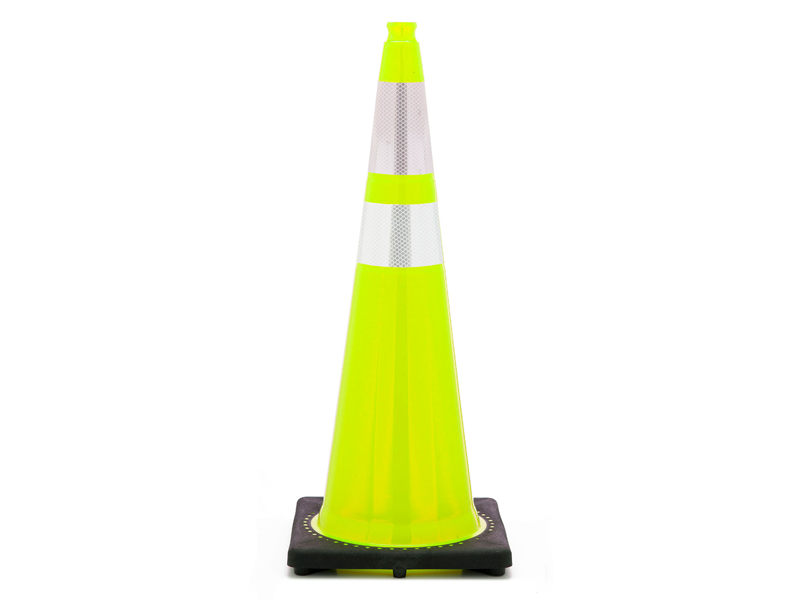 When they do reflectorized cones are the first choice in temporary traffic systems for ensuring the safety of work crews, first responders, and other motorists. They are easy to install and pick up after the work has been completed. 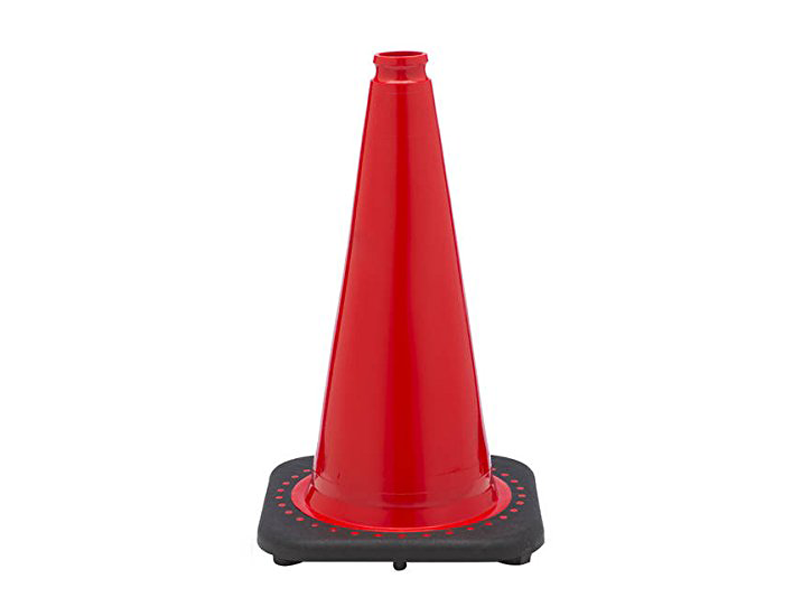 Moreover, these cones are especially useful in densely populated metropolitan areas where daytime work is too dangerous or too invasive to traffic. 3M 3840 reflective cone collars have a full contact pressure sensitive adhesive that stands up to repeated abuse even after multiple impacts at 50 mph. 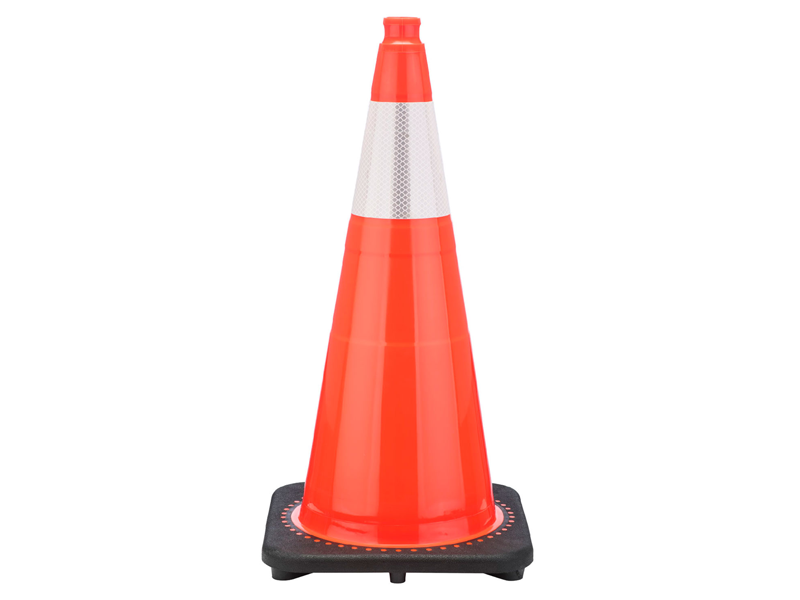 The Revolution series injection molded traffic cones have been strategically designed to bring you top-notch traffic management solutions at economical prices. 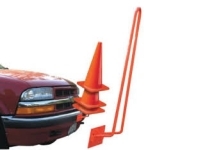 These cost-effective traffic cones come with a unique interlocking system for ensuring strong road grip and sustainability even in harsh weather conditions. The revolution series traffic cones with black base have a patented levelling system that holds traffic cones in a vertical position and ensures the cones will not easily tip over. Visibility is the key to avoiding accidents. 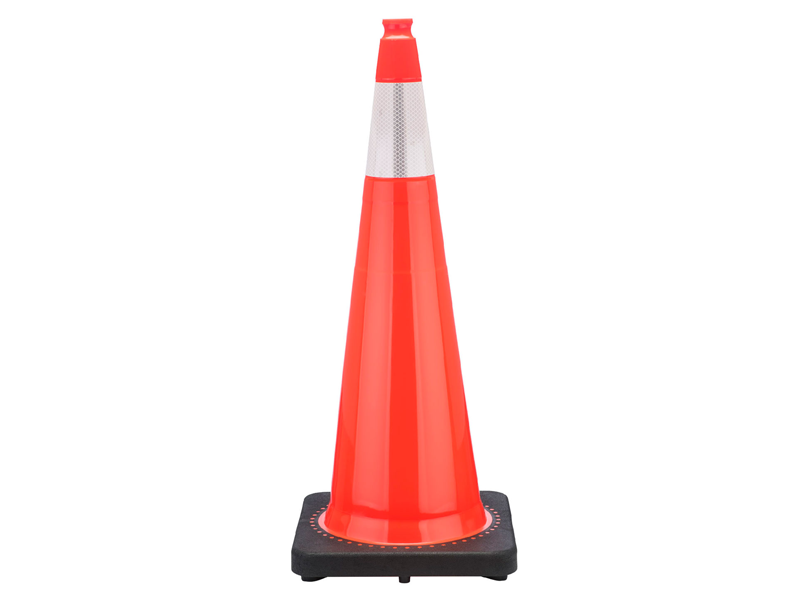 Injection molded Traffic pylons are used to warn motorists of potential hazards to prevent mishaps and accidents and improve the flow of traffic in sensitive areas such as construction sites, repair work at roadsides, public gatherings in heavy traffic areas etc. 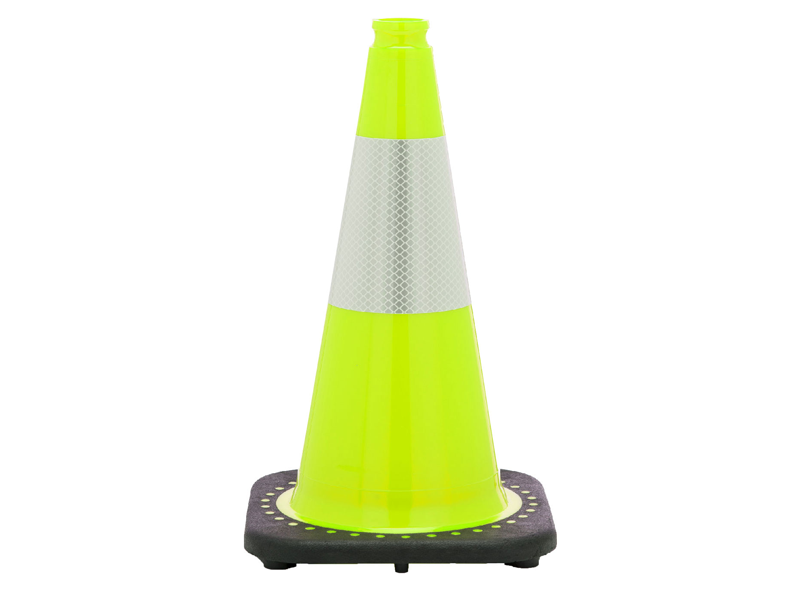 Revolution series Injection molded traffic cones are manufactured with 3M 3840 Hi-intensity reflective collars to maximize visibility at any time of the day. The 3M intensity is achieved with the use of plasticizer resistant with an encapsulated lens reflecting sheeting for achieving pressure sensitive adhesiveness. 3M 3840 cone sheeting is a specialized technique for improving the reflection of cones and meeting the standards of MUTCD. help minimize the chances of accidents or mishaps. 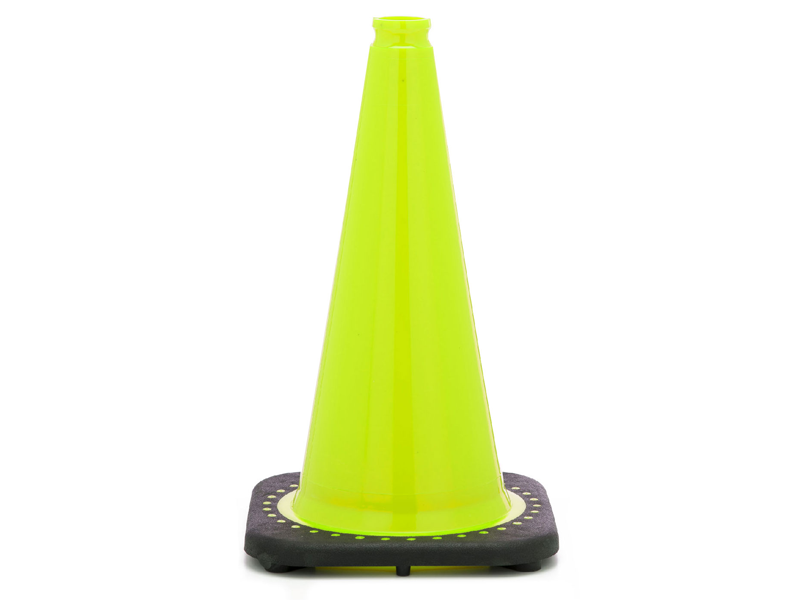 Injection molded traffic cones have black base for added stability. 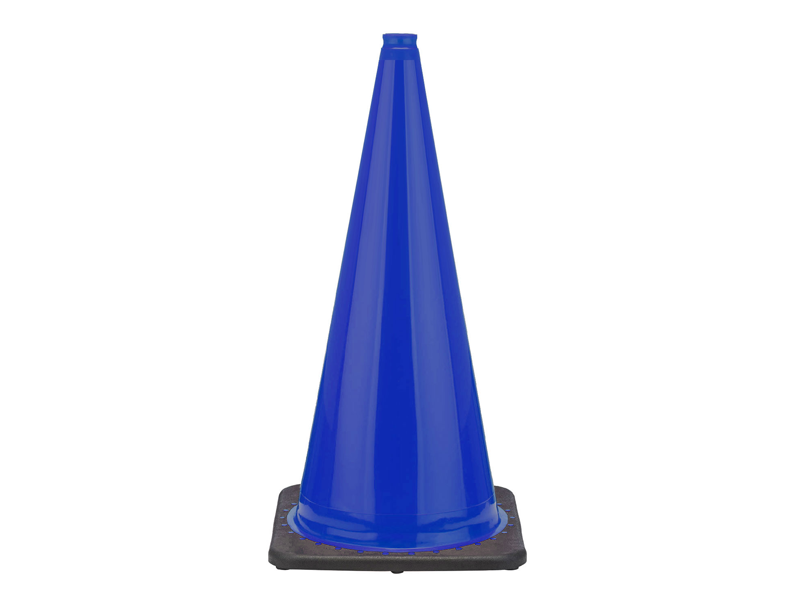 injection molded traffic cones to withstand strong winds of up to 50 mph. 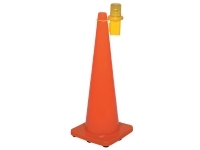 Injection molded traffic cones are able to withstand crushing and impact from heavy vehicle traffic without breaking. 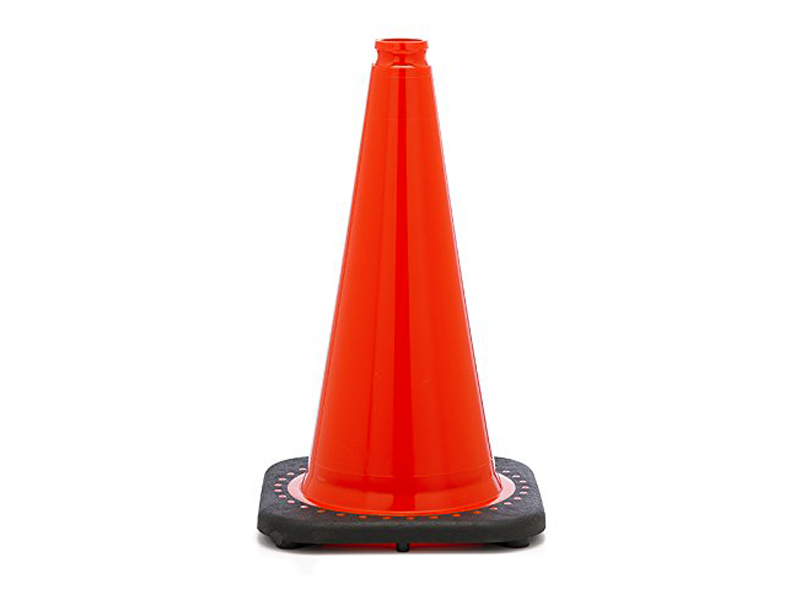 When deciding which traffic cone you need for your application you need to first be sure of road laws regarding the traffic cone height required for the roadway speed during use. 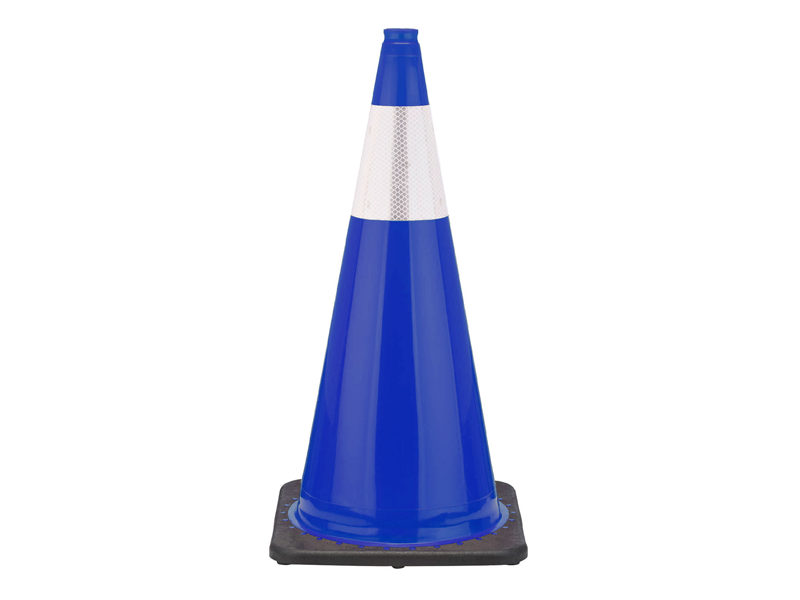 Moreover you will need to buy cones with reflective sheeting if your application will involve using the cones at nighttime. Reflective sheeting to improve visibility even during peak traffic hours or at night. Do you often struggle with setting up your traffic management system? Are you worried about damaging the products while transporting them? 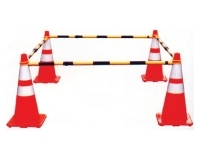 At Crowd Safety Products, we offer quality, value, convenience, and economy to all our customers. 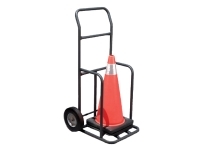 We offer carts with increased capacity. 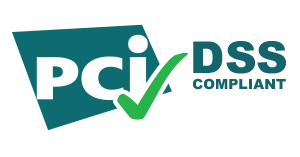 Each product sent to you is checked by our monitoring team to ensure that you always receive the highest quality products from us! 12″ Cones are Not approved for legal use on public roads 12″ Cones are primarily designed for use in private area direction of vehicles, athletics and physical training environments. 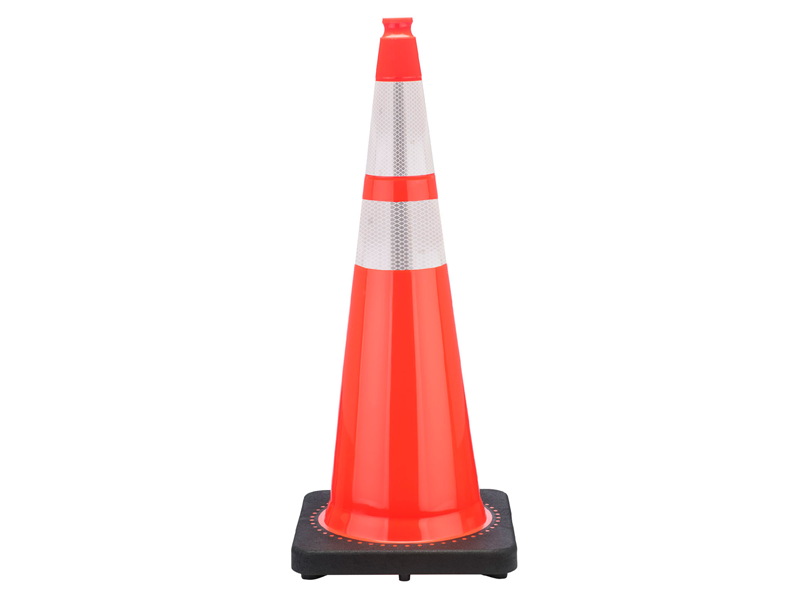 18″ Traffic Cones are approved for legal use on public roads. 28″ PVC Injection Molded Traffic Cones are designed for use on Roadways where the Speed is Greater than 45 mph. 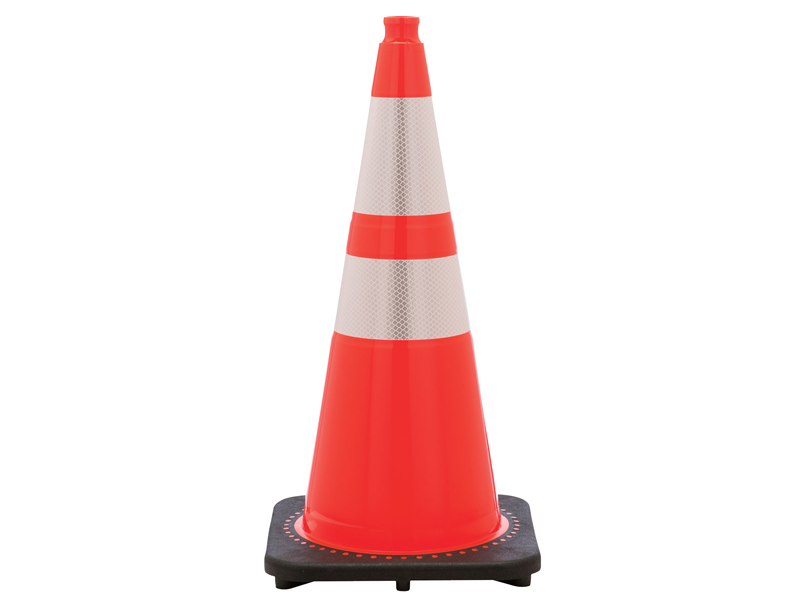 28″ Traffic cones are the most popularly used traffic cone in highway maintenance, roadwork projects and construction. 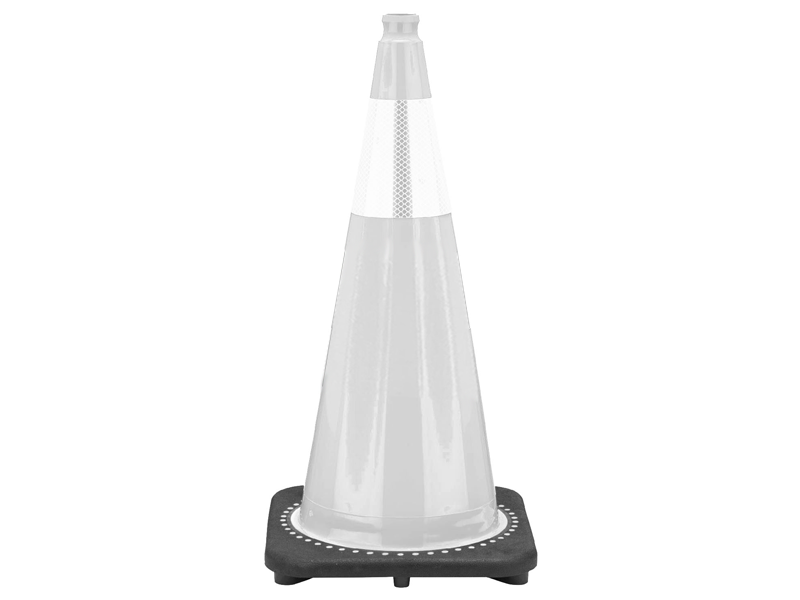 The 36″ PVC injection molded traffic cone is the largest cone available, and is approved for use on high speed roadways > 45 Mph. 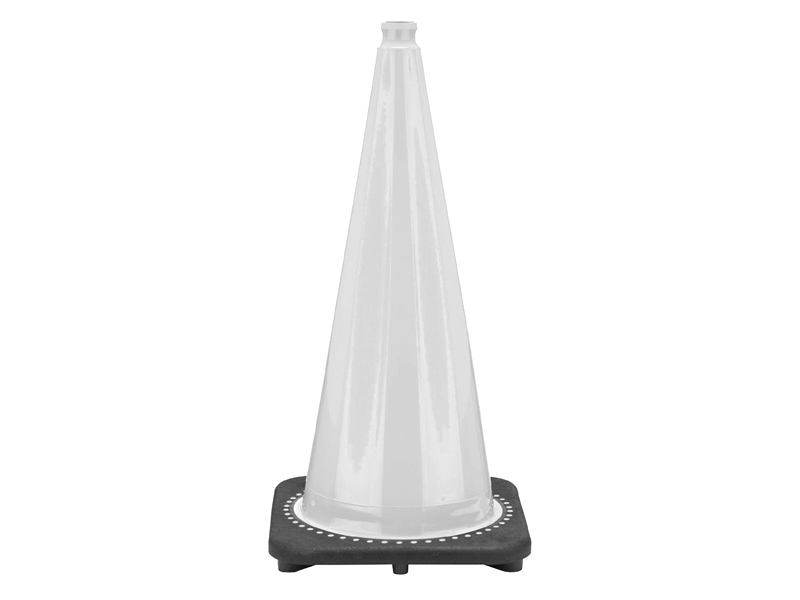 The fact that this cone weighs upwards of 10 lbs provides adequate resistance to tipping over in heavy winds or back draft from trucks and cars.